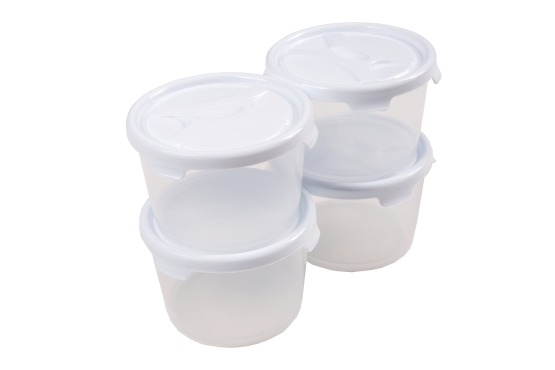 Good quality and hardwearing set of 4 handy food storage pots with lid. Bases are clear to view contents easily. Freezer, microwave and dishwasher safe and BPA free. Ideal for picnics or food on the go.